Sun glasses are eye glasses tinted to protect the eyes from bright objects, such as the sun, or from glare. And don't we all look so much cooler in our sun-glasses? Even when we wear them at night? Sun-glasses have proven the epitome of cool on cult-TV programming throughout history, but they have represented more than that definition suggests as well. 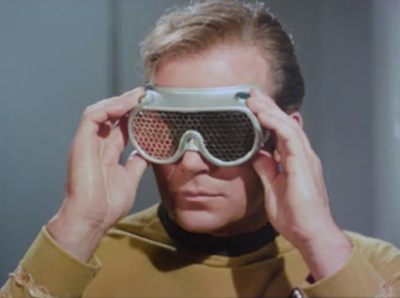 For example, on Star Trek's (1966-1969) "Operation: Annihilate," Kirk (William Shatner) and Dr. McCoy (DeForest Kelley) had to don special eye goggles to protect them from a light that would mimic the intensity of Deneva's sun. Unfortunately, that light (temporarily) blinded Spock (Leonard Nimoy). 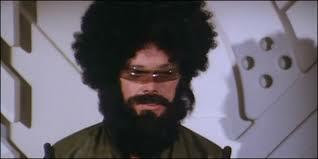 Similarly, the Buck Rogers in the 25th Century episode (1979-1981) called "Happy Birthday Buck" features an assassin named Traeger who -- after being incarcerated in a subterranean prison for many years -- must wear sun-glasses to shield his eyes from normal light levels. 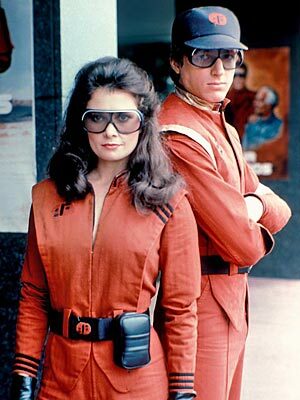 And on V: The Series (1985), The alien visitors from Sirius always wore thick sun-glasses while stationed outside, on Earth. Their Reptilian eyes, apparently, couldn't handle the strength of Sol's light. Sometimes, as I've noted, sun-glasses have frequently been equated to coolness or bad-assery. A perfect example comes from Smallville (2001 - 2011). 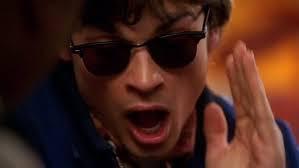 When Clark Kent (Tom Welling) wears a class-ring laced with Red Kryptonite, for example, he becomes a rule-breaking, motorcycle-driving rebel who wears...shades. 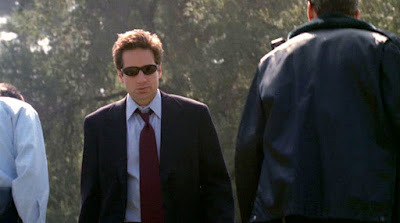 Over the years, many other cool kats have worn sun-glasses too, from Mulder (David Duchovny) on The X-Files (1993 - 2002) to Damon Salvatore (Ian Somerhalder) on The Vampire Diaries (2009 - ).